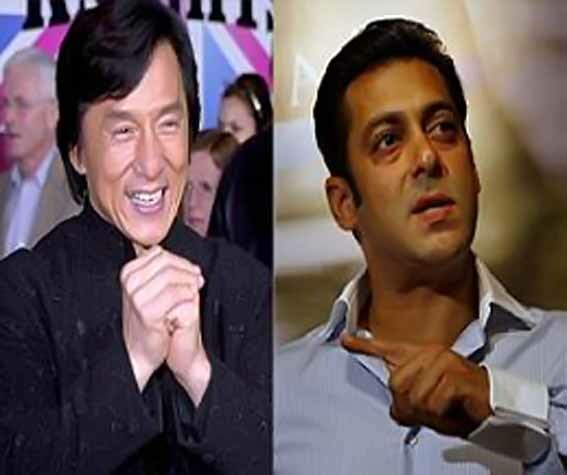 Actor Salman Khan , Jackie Chan in a Tamil film ? Glamorous Priyamani has turned down an offer to act in a Bollywood film. The actress was approached by controversial actor-director Kamaal R Khan on Twitter, but the Paruthiveeran girl neither respond nor showed any interest on the forthcoming Hindi film. On Twitter, Kamaal R Khan offered Priyamani to play the female lead role in Deshdrohi 2 and conveyed her to do the role of underworld don Abu Salem's girfriend Monica Bedi. He wrote, "Can you send me number of your manager. I want you to do my film #Deshdrohi2 Abu Salim. You will play role of Monica Bedi." Priyamani has claimed that she is not aware of the offer and did not see his message, but the actress assured that she is not interested to be part of the project. She had acted before in two Bollywood films: Raavan and Rakta Charitra. Actress Alphonsa, who is in police interrogation has absconded suddenly from Chennai. It is said that the actress is now hiding somewhere in Hyderabad. Pooja is currently busy 'Eriyum Thanal', which is being directed by Bala. It also features Adharvaa, Vedhika and Uma Riyaz Khan. It is written by Nanjilnadan and produced by Prasad V.Potluri under the banner PVP pictures. It is well-known fact that, Pooja's Mother is a Sri Lankan Sinhalese and her father Uma Shankar is an Indian Kannadiga Lingayat. As she made her entry into the film industry, she started acting in Sri Lankan and Indian films. Recently, there is a complaint against Pooja, instead of staying in Bangalore, she spends more time in Sri Lanka. Due to this, the Producers and Directors who wish to cast her in their films are unable to contact her and are suffering a lot. Actress Amala Paul is super busy these days post the success of Vettai and Kadhalil Sodhappuvadhu Yeppadi . Recently, the pretty actress was offered a role in Jeyam Ravi starrer Boologam.The actress had some serious issues with her call sheet and at the end left with no options , Amala Paul was forced to say no to a Jeyam Ravi starrer which had been her dream all these days. The actress is busy with two Malayalam movies Diamond Necklace and Aakashathinte Niram. AL Vijay, who has been busy with his forthcoming movie Thaandavam starring Vikram, has been simultaneously working on his next project, which features Ilayathalapathy Vijay. Well, we hear that the filmmaker has completed the script works. The buzz is that AL Vijay, who got a green signal for his project from Vijay in last October, has finished the scripting work despite being busy in Thaandavam. 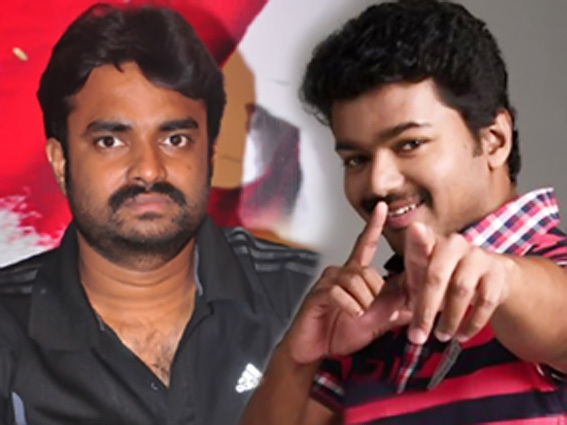 The untitled project will take off in June soon after the completion of the Velayudham star's forthcoming movie Thupaki. It is said that Vijay will shoot the upcoming movie as well as Gautham Menon's Yohan simultaneously. Other details about the project are yet to be revealed. Cricketer Suresh Raina is in love with Bollywood actress Anushka Sharma. The couple has been spotted in so many places but the actress's manager has rubbished this. Actress Nayanthara visited Thiruppathi on Wednesday and had a darshan of Lord Venkateshwara. 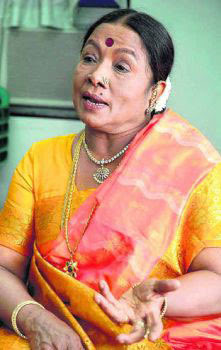 Veteran actress Manorama has admitted in a private hospital, Chennai due to poor health condition. The actress is suffering with multiple illness for few years. Aascar Ravichandran, known for his grand projects produced at mammoth scales, has once again pulled a casting coup of sorts. According to sources from tinsel town, Bollywood star Salman Khan has been roped in for Ravi's multi-starrer, multi-lingual film with Hollywood star Jackie Chan. In an earlier interview to this newspaper, Ravi had said that the movie, which could be the sequel to Chan's blockbuster Armour of God, would be produced at a staggering Rs 400 crore. He had also revealed that it would have a B-town star and a Tamil 'mass' hero sharing screen space with Chan. When DC contacted Ravi, he confirmed the news saying, "I have been discussing it with Jackie Chan for the last few years. The script has a global theme with an Indian connection. Yes, talks are on with Salman Khan. Hopefully, we will seal the deal in a week's time. But we are yet to fix the Tamil star for the project." When asked if the K-town star would be the likes of Rajini and Kamal, the producer refused to divulge any further details. However, his close aides say that neither 'Superstar' nor 'Ulaganayagan' will be roped in, as they are looking at relatively a younger actor for the high-action entertainment. Meanwhile, some sources say that Suriya is being considered.